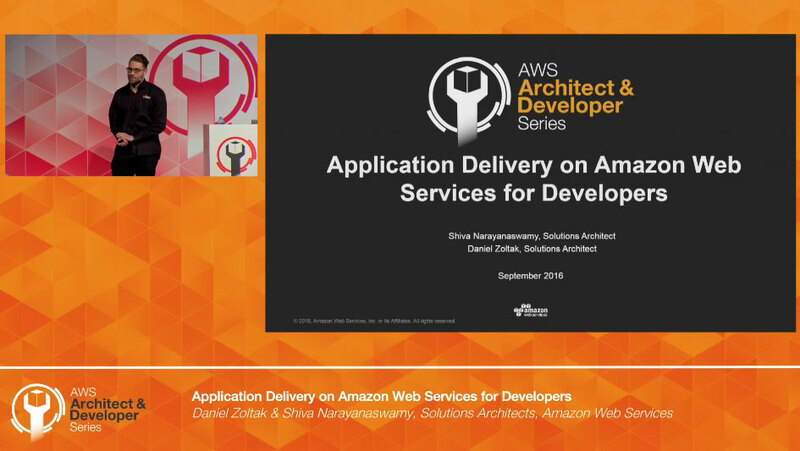 This platform features on-demand broadcasts of the sessions from AWS Architect and Developer Series. Whether you’re an Architect in an Enterprise delivery team responsible for web-scale application deployments, or a Developer working in a single functional unit, learn about key AWS features and best-practices to maximise your productivity and create compelling, robust and secure systems. Click on the session titles below to view abstracts and On-Demand recordings. Re-imagining your legacy monolithic applications as microservices is a great opportunity to challenge design decisions such as choice of language, synchronicity, access patterns and coupling and promotes isolated deployments, modularity and separation of concerns, while providing per-end point analytics for free. 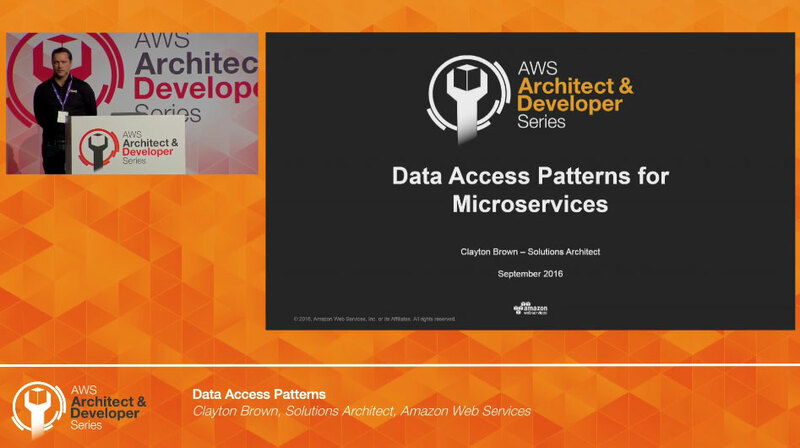 See how Amazon API Gateway and Amazon Web Services Lambda, together with microframeworks like Chalice make "Peeling the Onion" and redefining legacy applications in terms of microservices manageable. 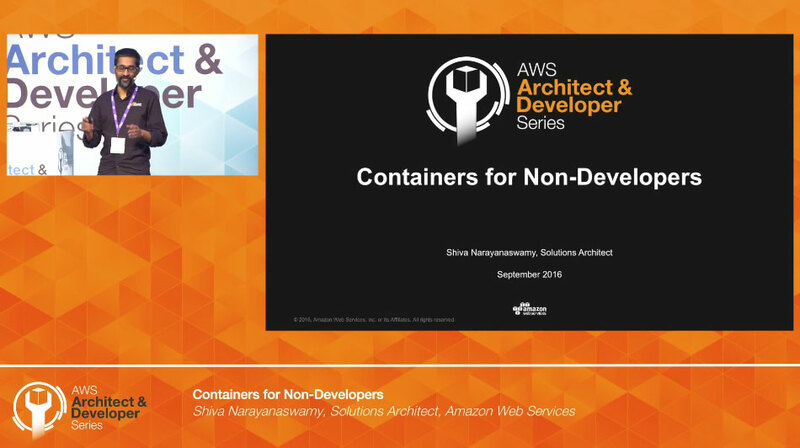 Containers are a developer's new best friend. For all the non-developers, what does this mean? 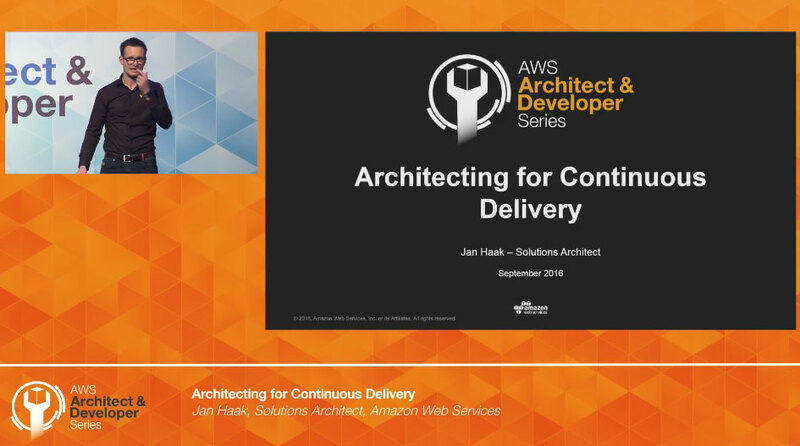 This session will demystify this abstraction called containers, and dive deep on how it changes the way we provision, deliver, deploy and manage applications. 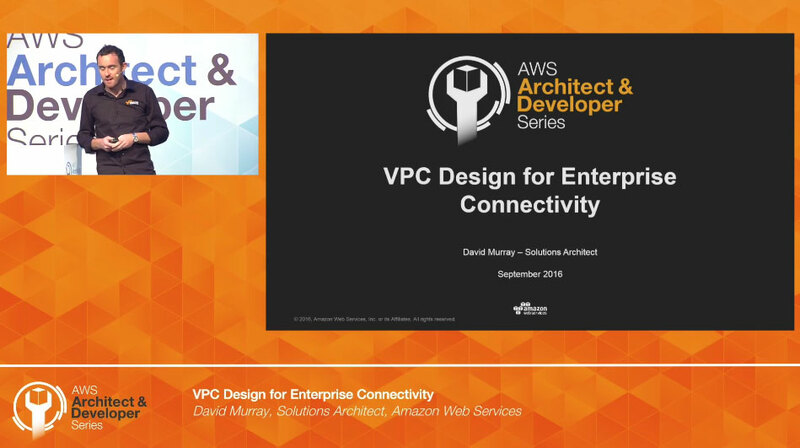 The features and flexibility of VPCs can support increasingly complex designs, and connecting your off-cloud environment to Amazon Web Services adds an additional layer of complexity. This session will dive deep into customer network-to-VPC connectivity options (DX, VPN, failover modes) and discuss decision points when designing VPCs. An in-depth guide to VDI infrastructure delivering the best desktop/BYOD experience for your developers and other external knowledge workers. 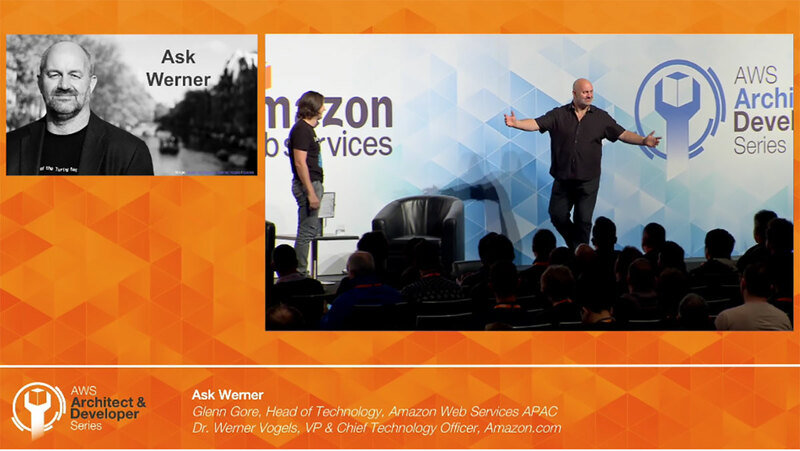 We will compare Amazon Workspaces with classic approaches to solving this challenge, and share best-practices for securing and managing a real-world production environment. Microservices architecture is a method of developing software applications as a suite of independently deployable, small, modular services. 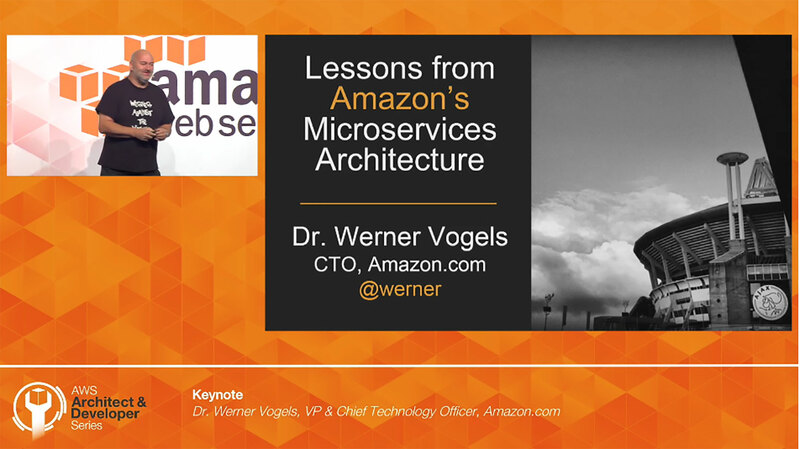 Learn how to leverage the security and automation of the Amazon Web Services platform, to build, maintain and operate a microservices environment. Amazon Web Services Identity and Access Management (IAM) supports identity federation for delegated access to the Amazon Web Services Management Console or Amazon Web Services APIs across accounts. With identity federation, external identities can be granted secure access using Active Directory/SAML integration while maintaining clear auditing and security governance, and allowing developers to get access to the resources they need. CI/CD pipelines are key to developer agility and productivity but can add a level of complexity for infrastructure managers from an operational and security perspective. We will demonstrate a variety of CI/CD pipelines using popular 3rd party tools that allow for continuous delivery, while maintaining a high bar for quality and staying compliant with ITIL process. Amazon Web Services IoT is a managed cloud service that enables Internet-connected things to easily and securely interact with each other and cloud resources. We dive into demo applications that tie together physical IoT devices, web browsers and identity providers to create smart, connected applications using Amazon Web Services. Amazon Web Services provides multiple messaging options that you can use to create scalable, distributed systems, implement event sourcing to unlock hidden context and utilise CQRS for efficient data access. 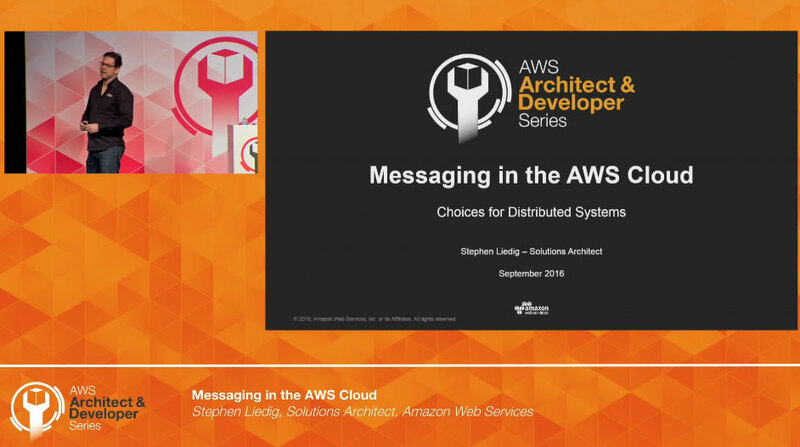 In this session we will look at various messaging patterns and discuss techniques and use cases for Amazon SQS, Amazon SNS, Amazon Kinesis, Amazon DynamoDB and Amazon Web Services IoT in your application. This session takes developers through a deep dive into microservices architecture on Amazon Web Services in the context of supporting transactions, making use of containerisation and serverless architectures and the various cloud-native features that make developing microservices efficient and simple. Efficient data access is key to a high-performing application. Amazon Web Services provides several database options to support modern data-driven apps and software frameworks to make developing against them easy. We look at the design of a modern serverless web app using Amazon DynamoDB, the DynamoDB Mapper, Amazon Lambda, Amazon API Gateway and the SDKs and tackle the move from relational to NoSQL data models. 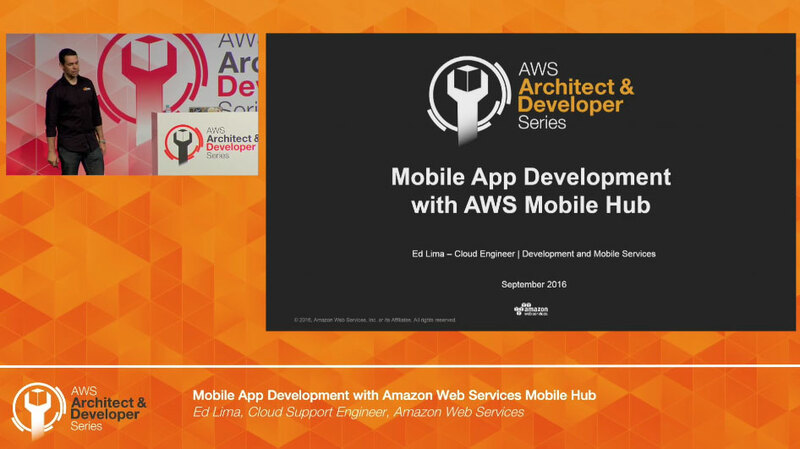 In this session, we will discuss how to automatically provision and configure the necessary Amazon Web Services services to build a cloud-enabled mobile application in a matter of minutes. We look at the tools available to measure and track users' actions in your app against key metrics and trends such as new vs. returning users, app revenue, user retention, and custom in-app behavior events. We will also show you how to leverage this data to bring them back to your app by sending customised automatic push notifications, SMS, and emails. Every developer has gone through the frustration of creating new features, fixing bugs, or refactoring beautiful code, and then wait for it to reach the promise land of production. Come and learn how to get your changes in the hands of your customers with more speed, reliability, security and quality.